The Master of Science and Doctoral Program (MD) FEB UGM held alumni gathering in two places, namely on January 22, 2019, in Papua and January 26, 2019, in Ambon. The agenda of the alumni gathering on occasion this time coincided with the Food Security Forum held at Universitas Cenderawasih (Uncen) and Universitas Pattimura (Unpat). The alumni gathering was attended by Prof. Catur Sugiyanto, M.A., Ph.D. as the Director of the Doctoral Program in Economics FEB UGM. The alumni gathering in Papua was held at Yougwa Restaurant. Prof. Catur Sugiyanto and representatives of the MD FEB UGM received a warm welcome from Antonius Citra, the Chair of the Accounting Laboratory of Universitas Cenderawasih and the alumni of the MD FEB UGM in Uncen. The meeting and hospitality with the alumni were also attended by several alumni of the MD FEB UGM who held important positions, such as Dr. Meinarni Asnawi who is currently the Chair of the Accounting Master’s Study Program and Antonia Klara as Secretary of the Laboratory of Economic Sciences at Uncen. The next alumni gathering was held in Ambon, precisely at the Auditorium of the Faculty of Economics, Universitas Pattimura. The event was attended by Rainier Hendrik Sitaniapessy as the Chair of the Study Program at Universitas Pattimura along with alumni from the MD FEB UGM. A warm welcome and discussion about the condition of Ambon became the main topic of this meeting. 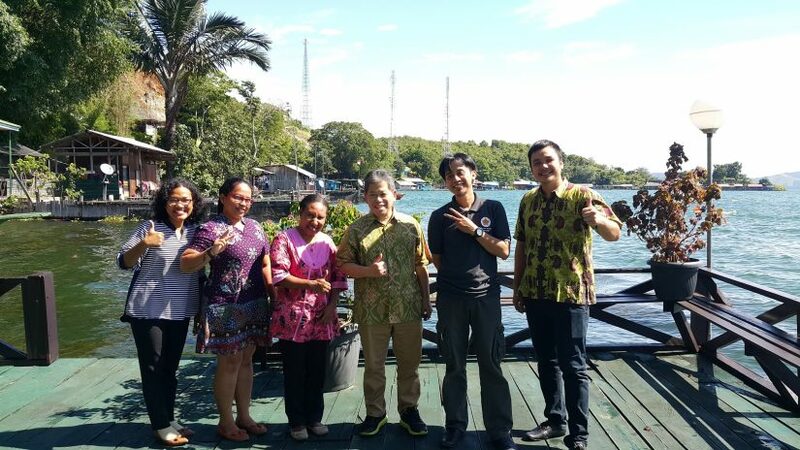 The meeting with several MD FEB UGM alumni in Ambon has opened a program insight into the conditions there. Differences in facilities and limited information are challenges that must be faced by academics in Ambon.